Having a personal assistant may be impossible for many people, but with Bixby you have a virtual assistant that lives right inside your phone. Provided, that is, you are using a Samsung phone since it isn't available through the Play Store. Bixby is only available on Samsung devices running Android 7 (Nougat) and above, and was released with the Galaxy S8 in 2017. This means that if you're using an older Samsung phone or old version of Android, you won't have access to it. Bixby is Samsung's digital assistant. It's an app on your phone that is there to make your life easier. By talking or typing to Bixby you can open apps, take pictures, check your social media, double check the calendar and plenty more. Before you can ask Bixby to look up movie times, you'll need to set it up. This should only take a few minutes. 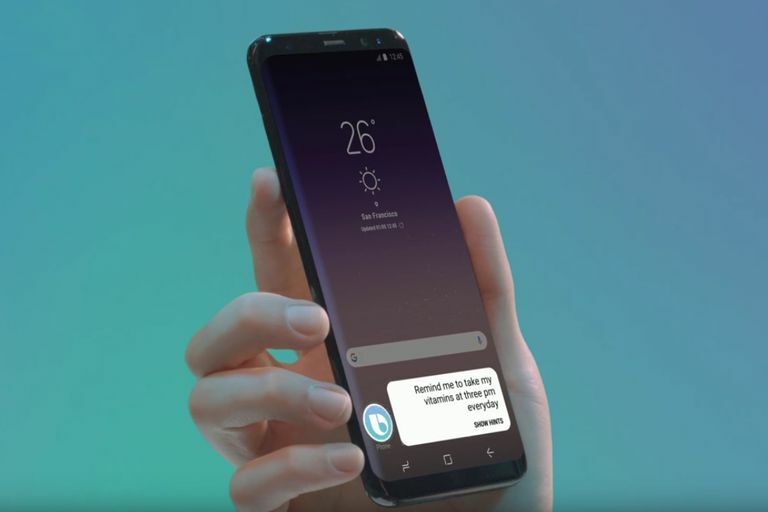 All you need to do is launch Bixby by hitting the Bixby button (the lower left button on your Galaxy phone) and then following the on-screen commands. After you've set up Bixby the first time you'll be able to launch it using the Bixby button, or by saying "Hey Bixby". If you don't already have one, you'll be prompted to set up a Samsung account. Altogether it shouldn't take more than five minutes, most of which is spent repeating phrases on the screen so that Bixby can learn your voice. Using Bixby is pretty simple: You just talk to your phone. You can set it for voice wake up if you'd like to just launch the app by saying "Hi Bixby" or you can hold down the Bixby button while speaking. You can even type to Bixby if that's more your style. In order for Bixby to complete a command it needs to know what app you want to use, and what you need it to do. "Open Google Maps and Navigate to Baltimore" for instance. If Bixby doesn't understand what you are asking, or if you're asking it to use an incompatible message, the app will tell you as much. While starting out with Bixby can be frustrating due to her not properly recognizing your voice, or getting confused, the more you use your digital assistant the more capable it becomes. While Bixby is a handy digital assistant, you may decide that you don't want the app to launch every time you hit the button. You might not use Bixby at all opting for Google Assistant or no digital assistant at all. Don't worry if this is the case. After Bixby is set up you can disable the button from within the settings. This means that hitting that button will no longer launch Bixby. Launch Bixby Home by using the Bixby button on your Galaxy phone. Tap the overflow icon in the upper right corner of the screen. (it looks like three vertical dots). Scroll down and tap Bixby key. Tap to choose the speaking style you prefer!. When you ask Bixby questions, it will answer back to you with the answer. Of course, if Bixby isn't speaking your language, or you hate the way it sounds, you're going to have a bad time. Which is why it's handy to know how to change the language and speaking style of Bixby. You can opt between English, Korean, or Chinese. In terms of how Bixby speaks, you have three options: Stephanie, John, or Julia. Tap the overflow icon in the upper righthand corner of the screen. (It looks like three vertical dots). Tap Language and Speaking Style. Tap to choose the speaking style you prefer. Tap ​to choose the language you want Bixby to speak in. Tap the toggle to choose what information is displayed in Bixby Home. Bixby Home is the main hub for Bixby. It's from here that you can access Bixby's settings, Bixby History, and everything Bixby Home can connect with. You can get updates from a variety of apps by enabling cards. This means you can customize exactly what is shown in Bixby Home like upcoming events on your schedule, the weather, local news, and even updates from Samsung Health about your activity level. You can also display cards from connected apps like Linkedin or Spotify. Open Bixby Home on your phone. Tap the toggle to enable the Cards you want to display in Bixby Home. Tell Bixby what you want to listen to and you'll hear it!. Bixby Voice gives you access to great commands that you can use to ask your phone to complete a variety of tasks. These include things like taking a selfie or opening up navigation while you are driving so that you can stay hands-free. Trying to figure out exactly what Bixby can, and can't do can be a bit of a hassle and it is a learning experience. With this in mind, we've got a few suggestions so you can see what Bixby can do. Camera: Say Take a Selfie, Set a timer for X seconds, or rotate camera. Calendar: Ask what is on your schedule, or say Add an event to my calendar. Directions: Navigate to x location, or change destination to location. Music: Say Play Music, Stop Music or Play x song. Calls: Say Call 911, Accept the call with speaker, Call X.